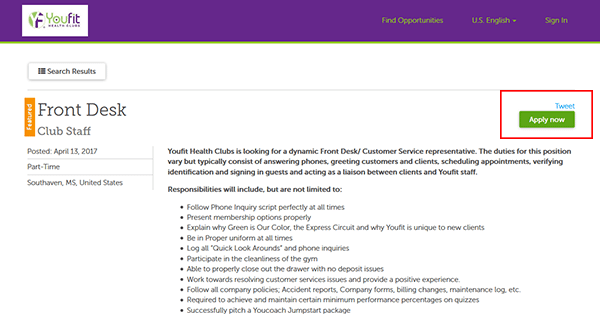 The Youfit job application is available via the company’s employment search page. Follow the steps in the instructions posted below to learn how to access the company’s job search page, find openings in your area, and submit an online application. About the Company: Youfit is an American chain of fitness centers/gyms headquartered out of St. Petersburg, Florida. The company was founded in 2008 and currently has more than 100 locations throughout 14 states (mainly in the Southern/Western United States). 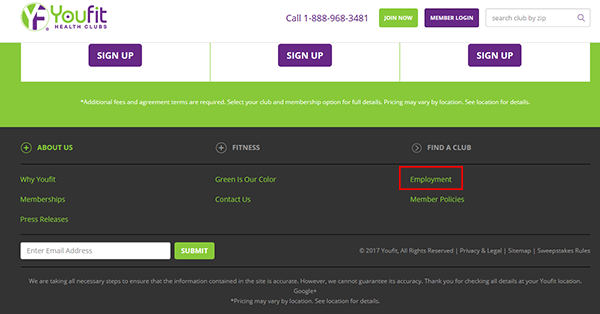 Step 2 – Once you’re on the homepage scroll all the way down to the bottom of the page, and then click the “Employment” link. 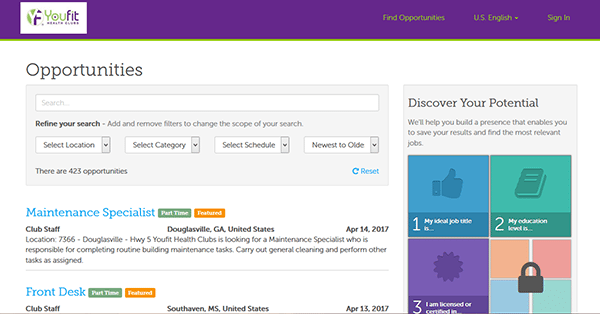 Step 3 – Refine the list of opportunities by selecting a location, category, or schedule from the drop-down lists. Step 5 – Click the job title of the position you’re interested in submitting an application for. Step 7 – When you’re ready to begin the application process click the link as outlined in the below screenshot. 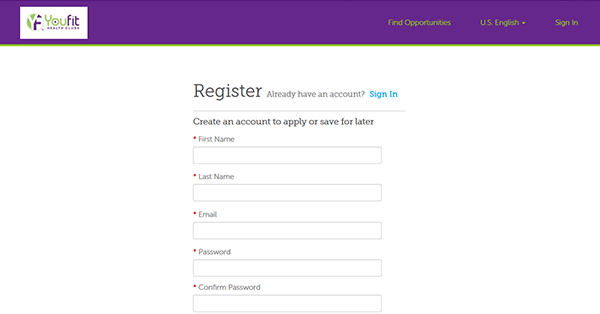 Step 9 – Sign in to your account. 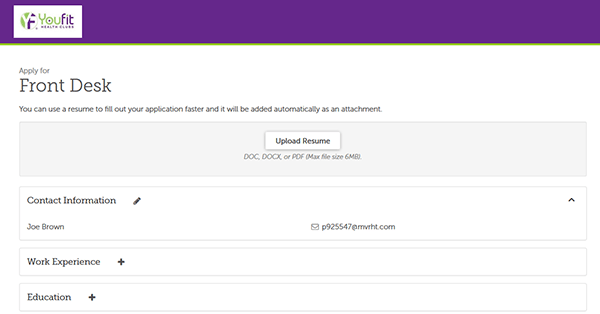 Step 10 – Upload your resume in .DOC, .DOCX, or .PDF format (optional).